Our resources are your resources. We integrate our expertise into your product pipeline. 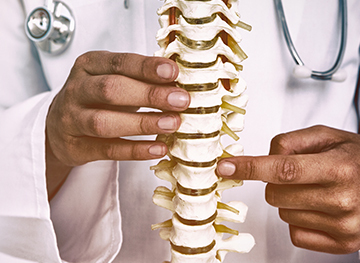 Tyber Medical’s experienced orthopedic executive team with expertise in quality, regulatory, operations, and marketing are all part of the package. We also have a Ph.D. on staff to assist you with the many technical aspects of launching your product. Tyber Medical resources are kept up to date with the latest technology by a Multi-Discipline Scientific Advisory Board which is comprised of members who are experts in Surgical Technique, New Product Development by following the trends in the orthopedic industry, and Data Collection from healthcare professionals and patients about their experiences and needs. Your company has access to all of Tyber Medical’s resources included in the price of the private label arrangement. Those services include products supported by science, technology and intellectual property, as well as speed to market due to the pre-work already completed by Tyber Medical, and our resources to help guide you through the process of bringing the product to market. All of Tyber Medical’s released products have FDA and CE regulatory clearance. The systems are fully designed, tested, verified and validated using Tyber Medical’s ISO 13485:2016, EC Certificate for the CE Marked Interbody Spacers, and FDA QSR compliant quality system. You can choose an entire system: tray, instruments, and implants; or select only implants or instruments. Tyber Medical’s OEM private label model allows your company to focus on what you do best – researching, developing, and marketing innovative orthopedic devices. You can choose to have premium products that are differentiated using our design and manufacturing technology. You also have the option of obtaining the convenience of sterile packaged products, or economical non-sterile implants with disposable instruments.